Summer, the Hottest Selling Season for Ecommerce in Brazil. Summer is an excellent time to take advantage of the market’s need for items such as clothes, shoes, beauty products, supplements, perfumery, sporting goods, travel services and more. But if you are not selling these categories, it does not mean you can only see summer as a hot season from a weather perspective. Summer in Brazil comprises the most important Holidays, with a few relevant exceptions like Mother’s Day. 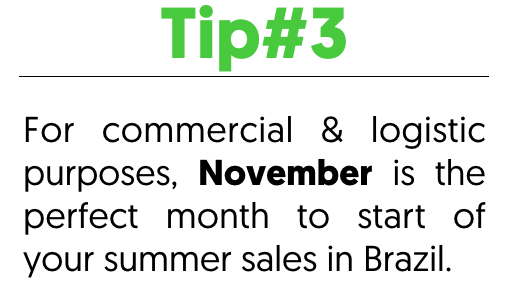 So even if you don’t sell products associated with summer, your store can still profit from summer sales in Brazil. Black Friday,Christmas, New Year,Carnival, Women’s Dayand Consumer’s Day are all crammed in the summer season from November to March. Even if summer starts only December 21st, by November, the weather in Brazil is already hot and the summer spirit is already high. Summer holidays in Brazil are undoubtedly a unique market opportunity that your online store should be looking forward to. Naturally it requires certain preparation. It is very important to identify who your potential customers are, the channels through which you can reach them and the products you want to market. These are some fundamental elements of your summer sales strategy you need to have clear to help you define your real capacity to capture a market share. International retailers that know how to profit from the momentum generated in that season without any doubt have more chances to potentialize their sales those summer months. With the right plan and accurate information you can make the most of the summer season in Brazil. 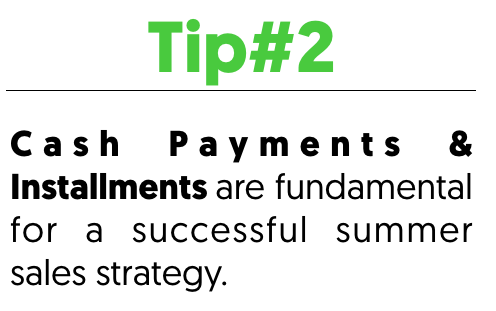 Apart from being your payment processor of choice, and a payments leader in Latin America, at EBANX we go beyond. 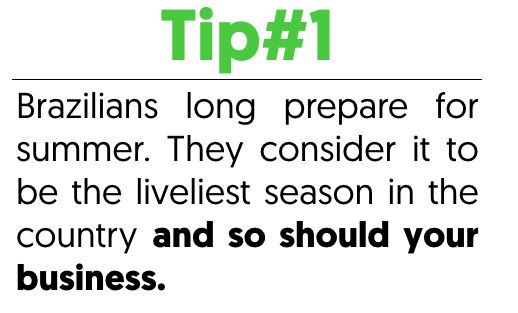 That is why we have prepared a brief summer guide with relevant market information, special dates, tips and best practices so that you can profit from the hottest selling season in the year! Take a look at our Summer Marketing Holiday Calendar for your team to get a head start and focus on driving revenue this holiday season instead of keeping track of dates. 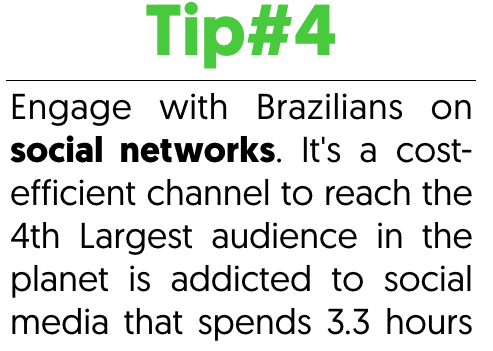 In it you will find creative tips, essential market info and common practices for retail marketing & cross-channel engagement throughout the Brazilian summer holidays.